The current trend of gutting internal R&D with the hope in in-licensing Phase II molecules is not a model for long-term success. Without researchers you will not even understand what you are buying. But maybe it doesn't matter if you don't listen to them, anyway (e.g., Sirtris). The nutty thing from the inside is that this particular layoff was branded "Amgen Full Potential" as if the laid-off folk were the problem. No, guys, less is less, and full potential moving forward is less than it could have been without this exercise. You know, great plans always have a name, kind of like "Adapting to Scale", "Let a Hundred Flowers Bloom" or "The Great Leap Forward". Good on you, Amgen bosses, for keeping the trend alive. Amgen ($AMGN) reported Tuesday evening that it plans to ax up to 15% of the company's workforce, shutting down all of its facilities in Colorado and Washington state as it slashes up to 2,900 staffers. Big research and manufacturing sites in Seattle and Bothell, WA, and Boulder and Longmont, CO, are all on the chopping block, including the sprawling 750,000-square-foot Helix research campus in Seattle with 610 staffers. And while it plans to keep its headquarters in Thousand Oaks, CA, the Big Biotech says it will consolidate a smaller headcount among fewer buildings, shrinking its corporate footprint. Derek Lowe notes that the Boston and San Francisco Amgen sites will actually add headcount. Seems to me that many economic development commissions for larger municipalities will always tout the possibility of their area becoming its own biotech hub. When I hear those claims, I always think about the Seattle area, how it is so close to national status and seems to have never quite gotten there, thanks to blows like this one. And then I ask, local government people, what are you going to do that Seattle hasn't? NPR has an story today about the old Roche facility in Nutley, New Jersey. I find this picture incredibly sad for its emptiness. There are no reagents on the shelves, no dishes on the rack, no clutter on the bench top nor reactions in the hoods. Someone once said that Spielberg used flashlights to tell you "something is not quite right here"; when I look at that real estate guy in that lab without lab glasses on, I have that same feeling. Of course, something isn't right there -- what was once probably a bustling laboratory is now empty, what might have been filled with laughter, or swearing or hopeful science isn't anymore. Here's hoping that some enterprising souls will purchase that lab and do some good with it. Best wishes to them, and to all of us. There was, the story goes, a pork-pie company over in England that was producing huge numbers of the things. Huge, that is, compared to their number of employees. In fact, on closer inspection, they were cranking out more pork pies than even seemed possible. This began to attract attention, and soon a team of managerial consultants had flown over from the US, eager to learn the secret. "Do you have Pareto chart analysis? ", they asked the owner of the firm. "No, no, nothing like that, he said. 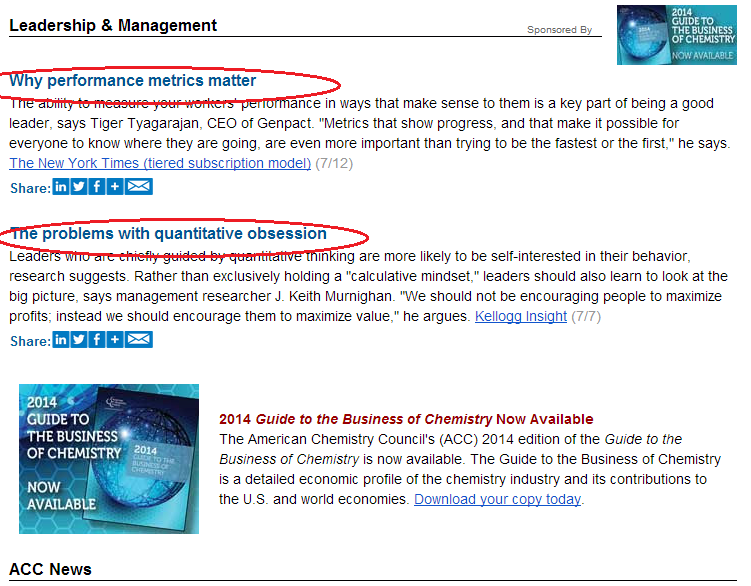 "Six-sigma black belt tiger teams?" asked another. "Speak English," said the owner, squinting at the consultant. "Multifactor quality control analysis, then?" came the next question, but that just got another impatient "No, no, never heard of it". "Look now", said the factory owner, waving them all off, "I'll tell how things work here. Every so often, I just go over to that window there, the one that looks out over the floor, and I stick my head through, and I have a look around, and then I scream FASTER, YOU BASTAAAAARDS! And that's all there is to it." Suggestions for the ACS' industrial chemists committee? Also in this week's C&EN, a column talking about what ACS is doing for industrial chemists by Dawn Mason, the chair of Corporation Associates committee, which is the ACS's "formal link between these chemists and the society." We don’t do this work in a vacuum and are appreciative of all the other committees we team with to accomplish our common goals. We continuously strive to improve ACS’s ability to address the needs of its industrial members. If you have ideas or have identified unmet needs for our industrial members, please send them to industry@acs.org. I'm a little surprised that there is not more of an "needs of industrial chemists" focus, as opposed to "needs of industrial chemistry", which is where most of the policy focus seems to be. Thinking about wages, salaries, unemployment and growing careers amongst industrial chemists would seem to be a great start. Chemtura in lawsuit on brominated flame retardants? Although growth is promising in lubricants and urethanes, the bromine business is going through a difficult time because of a lull in demand for flame retardants used in electronic equipment, Rogerson acknowledges. That business is also under pressure from regulators. Methyl bromide, for example, is being phased out as a fumigant because it depletes Earth’s ozone layer. And last year California, which sets the regulatory tone for the rest of the U.S., redefined safety standards for upholstered furniture so that brominated flame retardants would not be required. With the lawsuit, “we said we are going to make our position known.” The suit may or may not succeed, but “it will at least bring to people’s attention that the standards were weakened” and that the state didn’t follow proper procedures in making the changes. Kind of an expensive press release, no? I hope it works out for them. The MH17 story is really awful; Jyllian Kemsley covers an aspect of the tragedy, the death of an IU graduate student who was on the plane. Scripps president Michael Marletta resigns; story by Elizabeth K. Wilson. Letter suggests that we need more socialism in this world; will be interesting to see angry responses in future issues. Letter suggests that ACS move to virtual conferences to prevent climate change; I suspect concern trolling. Management lessons from Bull Durham. Have a great weekend! Casale said during the recession, the education level expected by Minnesota employers rose and as the state bounced back, degree requirements fell. In June, the state had the 10th-lowest unemployment rate in the nation. Still, there are remaining factors that determine a higher degree’s level of success — especially its area of focus. In the fourth quarter of last year, 80 percent of responding computer and mathematical employers in Minnesota required post-secondary education and 92 percent required at least one year of previous experience, according to the Job Vacancy Survey. That contrasts with life, physical and social sciences, where about 95 percent of employers required post-secondary education and just over 80 percent of them required previous experience. In the survey, the department asks employers twice a year for the lowest level of degree that would qualify someone to fill their positions. Casale said the job market for biological science graduates isn’t as strong as it is for those who go into engineering and chemistry. Dani Mae Janssen, a mechanical engineering doctoral candidate, said she hopes to leave the University [of Minnesota -- CJ's note] next spring and pursue work as an academic or do research, potentially around Minneapolis. She said she doesn’t think employers consider people with less than a master’s degree for open positions in her field. But she said she lacks the internships that other students have and that employers have come to expect. For now, the only way the University tracks its graduate students after they leave is through their chosen program, said Belinda Cheung, assistant vice provost of the University’s Graduate School, and definitive numbers for given departments and degrees aren’t easy to locate. Longtime readers of this blog will note that computer science positions want less education and experience than life, physical and social sciences, which is either evidence that 1) they're willing to train their people more or 2) they have reasonable job growth in their field. Also, I think it's fascinating that the University of Minnesota and its programs are basically willing to admit that it doesn't know really what happens to its graduates after they leave the university. It's almost as if LinkedIn (and Google and the telephone and perhaps the United States Postal Service) doesn't exist. Ah, well. The Food and Drug and Administration for the first time has accepted an application for a copycat version of what's known as a biologic, which is a complex drug made from proteins of living organisms. These biologics are cutting-edge therapies that can be more effective than regular drugs made from chemicals — and, not surprisingly, they also can be expensive. What's the right way to talk about this? Do you go back to "everything is chemicals", or do you say "small molecules"? I dunno. Anyone ever had grad student/postdoc pay stop because of the university changing its policies? I'm hearing about grad students at a research university having their pay periods change, and therefore basically missing a paycheck. There is blame on the Affordable Care Act, which is a little odd. What happens in these sort of situations? Has anyone ever heard of such a thing? What is the most effective way for a group of graduate students or postdocs to mount a response? I am looking for post-doctoral fellow to work with me on a project developing Surface-Enhanced Raman Spectroscopy (SERS) methods. Raman experience is not required, analytical chemistry skills are needed. I can provide more information to interested individuals. Please follow up if I can provide more information or if you know someone looking for a position. The monthly stipend is $6,239 (no benefits/insurance is provided). The position is for one year, if mutually agreed can be renewed an additional year. We currently have openings for medicinal chemists at our new, state-of-the-art facility in Shanghai, China. ...Must have fluency in both Mandarin and English, and be willing to relocate to China. Analyst will utilize analytical instrumentation and wet chemistry techniques for analysis of raw materials, in-process samples, and finished products. Minimum BS, prefer MS with 5 - 10 years laboratory experience in a cGMP enviornment . They're offering 50-75k. Does that seem low to anyone? It's probably just me. Minimum Bachelor’s Degree in chemistry, chemical engineering, polymer science, polymer engineering or equivalent discipline with 5 to 7 years of related industry experience or 3 to 5 years related industry experience with a Master’s Degree in any of the above disciplines. Wide-ish pay as well, with listing between 70-100k. Pleasanton, CA: The Clorox Company posts its usual slate of openings, this time including a postdoc position in microbiology. ACS SF Career Fair Watch: 27 openings for the Career Fair, 4 for the Virtual Career Fair. I got randomly selected for an online survey about the ACS. I found this one to be a good question. What is a project house? 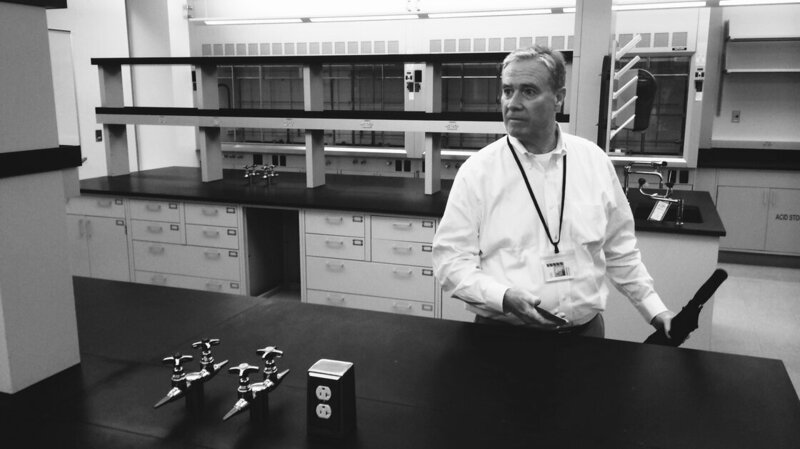 The company now has eight R&D centers and 50 technical application labs worldwide. “We now have a very good infrastructure for trying to develop innovations,” Kottmann said. Clariant is also testing models for accelerating innovation. One such model, in trials for the past couple of years, is the so-called project house, which draws together chemists and commercial executives from Clariant and beyond to identify and execute intensive product development. The firm’s first project house, which is in Italy, is for its masterbatches business, which supplies color and performance additive concentrates to plastics makers. The project house is still at the trial phase but is proving extremely beneficial, the company said. Even in businesses without the project house structure, Clariant is seeking to closely link research with commercial activities, said Christian Kohlpaintner, Clariant’s board member responsible for R&D. This has been the case with the firm’s Synergen OS adjuvant, a blend of methylated seed oil and a polymeric surfactant. The product encourages sprayed-on pesticide to stick to plant leaves, leading to enhanced exposure to the active ingredients. I don't quite understand -- is the "house" an actual physical building or is it a structure? ...One question they’d like to answer is how much brain injury a person can handle before CTE sets in. With support from the Nevada Athletic Commission and local fight promoters, the group is gathering data by periodically testing its fighters and comparing them with a control group of age- and education-matched people who have never had head trauma. When the test subjects visit the Lou Ruvo Center, they update their fight records, take cognitive tests, and lie down inside a magnetic resonance imaging machine. “We’re looking at a variety of MRI modalities,” Bernick explains. He isn’t yet sure which combination of MRI scan types will be most useful for detecting CTE-related brain damage and tracking it over time, so his group is running a full battery of them. A few have shown promise so far. Volumetric MRI, which constructs a three-dimensional view of the brain, has indicated that subjects who fought more bouts during the study’s first year had greater tissue loss in regions of the brain called the corpus callosum and putamen. The corpus callosum is a bundle of nerve fibers that connects the right and left hemispheres of the brain, and the putamen is a structure deeper within the brain that helps regulate movement and learning. The results of diffusion tensor imaging, another type of MRI, also suggested that some of the study’s fighters have a thinning corpus callosum. This type of imaging maps the 3-D movement of water throughout the brain. Water typically flows parallel to nerve fibers, so when that flow pattern changes in a particular brain region, scientists take it as a sign of neuronal damage in that spot. ...Four years ago, when Robert A. Stern was writing grants for a large-scale CTE study, he says it was far-fetched that scientists would be able to see phosphorylated tau in the living brain anytime soon. “Much to my delight, there are a couple groups who have now done it,” says Stern, a neuropsychologist at Boston University who collaborates with McKee. I am really disturbed at the mounting scientific evidence that some contact sports are actively harmful to players' brains. Here's hoping that, over the years, we can understand if all or just some individuals tend to get CTE and why. Is there a correlation between sport/position played and likelihood of CTE diagnosis? How long does it take before CTE sets in? (The article says that it has been detected in high school athletes.) Yikes. Am I crazy, or did most folks know Chris Benoit as just "Chris Benoit"? I never heard the "Canadian Crippler" nickname until now. Um, what's going on in Atlanta? : Andrea Widener covers the CDC anthrax debacle. I'd love to know what's going on and what internal employees think of it. It certainly seems dangerous, anyway. Candidates for president-elect are Peter K. Dorhout, dean of arts and sciences and a professor of chemistry at Kansas State University, Manhattan; William A. Lester Jr., a professor of the graduate school in the chemistry department at the University of California, Berkeley, and faculty senior scientist at Lawrence Berkeley National Laboratory; and Donna J. Nelson, an organic chemistry professor at the University of Oklahoma. I wonder if Professor Nelson's association with "Breaking Bad" (she was the show's technical adviser) will help or hurt her candidacy? I'll bet it will help. From @metabolome. The truth, it hurts. ...Yet in manufacturing alone, a half-million jobs are going unfilled because firms have been unable to find qualified workers. The feds can't address our nation's shortage of skilled labor on their own. Private firms — especially those in manufacturing — must also invest in training. Indeed, without workers fluent in the high technology that runs today's factories, manufacturers will not be able to survive. Modern manufacturing is more than pulling levers and navigating forklifts throughout a plant. Consider the work flow of, say, an engineer at a facility making chairs. ...But as manufacturing has become more technologically sophisticated, the training needed to master a trade has grown too expensive and time-consuming for private industry to provide. Manufacturers already operate on thin profit margins. They can't afford to develop every worker from scratch. There is a common perception that American manufacturing is in decline. Nothing could be further from the truth. Instead, a shortage of qualified workers is holding American manufacturing back. Our nation's leaders must invest in closing that skills gap. If they do, an American industrial renaissance will follow. The government hasn't tracked spending on corporate training since the mid-1990s, but one rough measure, the percentage of staffers at U.S. manufacturers dedicated to training and development, has fallen by about half from 2006 to 2013, according to research group Bersin by Deloitte. That seems about right to me -- must be those incredibly thin margins. ...Which brings us to Ohio: I have not lived in Ohio since 2006. I do not plan to live in Ohio any time in the near or distant future, nor do I particularly want to raise my child there. But Ohio is still important to me because I am from there, and I very much want for Ohio to thrive. I think that’s where a lot of my initial excitement about LeBron’s return comes from: the idea that Ohio will thrive. That there will be tens of thousands of people in Downtown Cleveland for 40-plus Cavaliers home games every season for the foreseeable future. Sure, most of those people will immediately flee the city back to the suburbs, but maybe a few people will decide they like it in Cleveland Proper and will move inside the city limits and make Cleveland great again. I want Ohio to thrive, but I do not want to live there. More accurately, maybe I’m not willing to give up the life I enjoy in the District of Columbia to ensure that Ohio does thrive. This feels somewhat hypocritical and more than a little cowardly at times, but it is the bare and honest truth. * I like where and how I live and do not see any opportunities to live similarly in Ohio. So it is rather heartening and exciting to see Ohio immediately improved by the presence of one LeBron James. It’s nice that he decided to fill in for me in my absence. *The underlying assumption here—namely that my mere presence would improve Ohio’s prospects—may not be structurally sound. Part of the journey of the modern working chemist seems to be a path away from where we call "home" (which can be anywhere) and, these days, seems to end up somewhere on either the East or West Coasts (or Houston). The trajectory of economic growth in these United States doesn't seem to be broad-based anymore, so deciding to move one from a large mega/metropolis to a smaller one doesn't seem like a great move for oneself and one's progeny. Of course, that isn't a particularly rational or considered opinion (it's not like I've looked up GDP growth forecasts for D.C. and Cleveland*), but at the very least, I understand where he's coming from. LeBron James might be recession-and-outsourcing-proof, but we're not. There's also something specific about Ohio, which seems to be the childhood home of many of this blog's readers. I am probably over-romanticizing the state's economic history, but when Ohio was healthier and more pre-eminent among the states, it seems that chemistry (and manufacturing in general) was a lot healthier and stronger. I hope that will be the case for Ohio's future (and for American chemical manufacturing's), but I don't really see a path in that direction. Best wishes to Ohio, and to all of us. If you’re like most people, you’ve got at least two phones, a home phone and a cell phone. You may have your own business phone, too, and for reasons I haven’t yet plumbed, some people seem to have more than one cell phone. Some people use a cell phone as their sole telephony instrument. That’s OK, but it’s not ideal. Business calls are so important (especially in a job search) that you don’t want to drop them—and cell phones do drop calls. Another concern is call quality; as your voice fades out on the other end of the (virtual) line when you’re chatting with that director of research, your chances of getting hired might be fading in much the same way. So it might be worthwhile to spring for a landline or maybe a phone from your cable company. The former is better—landlines are rock solid—but a cable phone is cheaper and usually includes unlimited long distance. I really believe in the power of landlines. I am officially an old fogey. This position will be responsible for the design and synthesis of small-molecule drug candidates. The Sr. Scientist will analyze data from multiple assays to design compounds that meet project goals. This person in this role will be expected to initiate projects and/or function as a chemistry team leader. He or she must be adaptable to a fast-paced and dynamic environment, and will be willing to take on responsibilities outside of his/her main area of expertise. Sounds challenging. Ph.D. desired, 4+ years experience. Nanosys is seeking a versatile synthetic chemist with experience in organometallics to develop new compositions for the Nanosys optical materials effort. Based on our proprietary quantum dot technology we are developing new nano-crystals and composites for integration into optical devices in partnerships with leading optical component manufacturers. Among the development goals will be novel nano-crystal synthesis optimization and integration of nano-crystals into polymer systems. Don't know what that is, exactly, but it sounds interesting. Hamilton, NJ: CombiPhos is looking for 2 Ph.D. synthetic chemists; I wonder what it's like to work there? Washington, DC: Technology Sciences Group desires a B.S./M.S. chemist for TSCA consultations. You may never have heard of us, but you've seen our products at work. If you've ever been to the movies, admired a piece of sculpture, marveled at detailed architectural ornamentation or used a telephone; then you've encountered the handiwork of people who use Smooth-On rubbers, plastics, foams and other products to turn their ideas into 3-dimensional reality. The Senior Chemist will be responsible for the formulation development for Smooth-On’s Polyurethane, Silicone, Epoxy, Polysulfide and Release agent product lines. Houston, TX: Merichem desires a research technician; A.A. with 2+ years experience or B.S. with internship experience desired. ACS SF Career Fair watch: 17 positions for the Career Fair, 4 for the Virtual Career Fair. Freedom Industries is likely responsible for the apparent poor state of their tanks -- I wonder if those tanks have ever been pressure checked or what the preventative maintenance logs look like. ...the U.S. Chemical Safety Board (CSB) reported today it has thus far found no record of a formal, industry approved inspection performed on any of the chemical storage tanks at Freedom Industries prior to the massive leak which occurred on January 9, 2014. Informal inspections may have occurred, preliminary findings indicate, but investigators have found a lack of appropriate engineering inspections with prescribed frequency and rigor of inspections. The CSB commissioned an inspection of tank 396 and similar tanks at Freedom Industries, scanning the tank interior and the surrounding topography of the river bank. Investigators oversaw the recent extraction of metal for metallurgical analysis. The investigation found that two small holes ranging in size from about 0.4-inch to 0.75-inch in the bottom of the 48,000-gallon tank 396 were caused by corrosion, likely resulting from water leaking through holes in the roof and settling on the tank floor. Furthermore, the CSB inspection found a similar hole penetrating the bottom of nearby tank 397, containing the same chemical at the facility, located in Charleston. Other tanks also showed multiple signs of pitting and metallurgical damage, investigators said. The growing corrosion in these tanks went unnoticed until the bottom of 396 was breached and up to an estimated 10,000 gallons of the chemical 4-methylcyclohexane methanol (MCHM), mixed with propylene glycol phenyl ethers, or PPH, made their way through the underlying mixture of soil and gravel under the facility and into the Elk River on January 9, 2014. It sounds like Freedom was a relative mess, managerially speaking, and their lack of a rigorous inspection system doesn't shock me a bit. A disappointment. (Washington, D.C.) In a rare showing of strong bi-partisan support, landmark bill S. 2651 entitled the "Investigational Combatant Funding Reappropriation Act" has passed through the United States Senate and been signed into law by President Obama. "My fellow Americans, today marks an important milestone in our collective history," President Obama began, "with the enacting of this bill, federal funding for health-related research will be distributed in the fairest way possible -- by physical combat." Under the provisions of the bill, principal investigators at academic institutions are permitted to select a champion from their respective research groups to do battle in tournament-style cage fights. Funding will be distributed according to placement in regional tournaments, with winners receiving coveted R01 grants. At press time, UFC light heavyweight champion Jon "Bones" Jones had assembled a team of sought-after post-docs and graduate students. Your firm did not retain complete raw data from testing performed to ensure the quality of your APIs. Specifically, your firm deleted all electronic raw data supporting your high performance liquid chromatography (HPLC) testing of all API products released to the U.S. market. In addition, your firm failed to retain basic chromatographic information such as injection sequence, instrument method or integration method for the tests. Your firm’s lack of data control causes us to question the reliability of your data. In addition, your laboratory management was unaware of, and therefore did not follow, the written procedure detailing the review of analytical data. Furthermore, your management confirmed that the review of analytical data did not include evaluating the system suitability parameters to ensure proper column performance. I subscribe to the American Chemistry Council's daily newsletter, because why not try to learn what the CEOs of industrial chemistry are thinking? The "Leadership and Management" section is always, always, always good for a laugh and today is no exception. Newark, DE: Invista is looking for a senior R&D organic chemist with 5+ years experience. Pretty attractive looking position, if I do say so myself. Orange, TX: Invista is also looking for a Ph.D. inorganic/organometallic chemist to work as a research chemist. "INVISTA has a continued commitment to leadership in many catalyst areas by utilizing advantaged technology with an emphasis in the area of hydrocyanation, hydrogenation and oxidation catalysis of small molecules that have value in the marketplace." Huh, interesting. Greensboro, NC: Syngenta is looking for a Ph.D. analytical chemist to work in crop protection; 70-90k offered for a position where 2-5 years experience are desired. Seems a touch low? Ahhh, sales: Love this line from this Magritek ad for a sales manager: "Are you a rock star salesperson who wants to work with the one of the most innovative scientific instrumentation companies in the world?" China Lake, CA: The Naval Air Warfare Center Weapons Division has 3 open postdoctoral positions, starting at 56k. Nice salary, for sure, but you're gonna be buying juuuuust a bit of gas. Halifax, Canada: Looks like Dalhousie University is looking for 2 tenure-track professors of chemistry. "Preference will be given to applicants in the fields of synthetic chemistry, computational and theoretical chemistry, and analytical chemistry." Also, looks like Canadians will be given preference. Flagstaff, AZ: Northern Arizona University is looking for an assistant professor of analytical chemistry for fall 2015 - you can never get started too early! Milledgeville, GA: Georgia College (and State University -- there's a new one for me!) is looking for an organic chemistry lecturer to start January 2015; Ph.D. desired. Napa, CA: Napa Valley College is looking for an "Instructional Assistant IV" to work in the chemistry department -- not quite sure what it's all about, but it looks to be half administrative/half teaching. Pays 38-44k, which isn't horrible, depending on the education they expect. Last Minute Lecturers: St. Cloud State University is looking for a chemistry lab coordinator to start September 8 "or sooner" (!). Minot State University desires a visiting assistant professor of analytical chemistry to start August 18. Tick, tick, tick! Janet Stemwedel and "The Book of Job"
...Back in the spring and autumn of 1992, I was a chemistry graduate student starting to believe that I might actually get enough of my experiments to work to get my Ph.D. As such, I did what senior graduate students in my department were supposed to do: I began preparing myself to interview with employers who came to my campus (an assortment of industry companies and national labs), and I made regular visits to my department’s large job announcement binder (familiarly referred to as “The Book of Job”). ...It was during my regularly scheduled freak-out over the binder in the department lobby that I really got to know Dr. LuValle. While I was in the department, his official position was as a “visiting scholar”, but since he had been the director of undergraduate labs in the department for years before he retired, he wasn’t really visiting, he was at home. And Dr. LuValle took it upon himself to make me feel at home, too — not just in the department, but in chemistry. It started with light conversation. Dr. LuValle would ask what new listings had turned up in the binder since the last time he had seen me. Then he’d ask about what kind of listings I was hoping would turn up there. Soon, we were talking about what kind of things I hoped for in a chemical career, and about what scared me in my imagination of a chemical career. That he bothered to draw me out and let me talk about my fears made those fears a lot more manageable. The whole thing is worth a read, especially the life of Dr. LuValle before he got to Stanford. A Des Moines, Iowa, federal grand jury has indicted seven Chinese nationals for stealing hybrid corn seed technology from DuPont and Monsanto test fields in Iowa and Illinois. The indictment accuses the group of conspiring to steal and send back to China parent seed lines containing gene-modified and plant-bred traits such as resistance to disease, pests, and drought. All seven worked on behalf of Dabeinong Technology Group, a Beijing-based agricultural conglomerate founded in 1993. Among those arrested and indicted is Mo Yun, the wife of Dabeinong founder Shao Genhuo, says the U.S. Attorney’s Office for the Southern District of Iowa. According to Forbes magazine, Shao has a net worth of $1.3 billion. The indictment accuses Mo of being the brains behind the operation. The FBI began tracking the group in May 2011 following an alert from DuPont. A company security guard, posted at a cornfield in Iowa, had reported observing Mo Hailong, Mo Yun’s brother and Dabeinong’s director of international business, on his knees digging up recently planted corn seed. The FBI subsequently tracked Mo Hailong and others over the next year and a half as the group collected corn seed and mature ears of parent corn from research fields operated by DuPont, Monsanto, and the seed company AgReliant Genetics. To get the seed back to China, the government says, one defendant tucked the stolen kernels into Orville Redenbacher microwave popcorn boxes packed into his luggage. A second defendant traveling back to China tried to conceal the seed corn in Pop Weaver boxes. Each of the defendants faces a prison term of up to 10 years and a fine of $250,000, according to a government spokesman. Call me crazy, but I think a Iowa security guard might notice something was up when Chinese folks are digging up samples from research fields. I'd love to know how successful Dabeinong Technology Group is in China, and if this would have actually have represented a threat to DuPont. Jeff Johnson looks at the contretemps at CSB; I'd sure like to know what is going on (is it really poor management by Chairman Moure-Eraso?) and why this matter seems to be taking a partisan bent. This article by Deirdre Lockwood on the bioactivity of crude oil compounds on fish cardiac systems was unexpectedly really interesting. Enjoyed this Bethany Halford article on PET and organofluorine chemistry at various academic organic chemistry departments; radiochemistry is such a narrow employment niche, but it seems to have real impact on biomedical understanding. On June 23, 2014, the Association for Women in Science (AWIS) joined the White House Council on Women and Girls, the Center for American Progress, and the Department of Labor (DOL) for the Working Families Summit in Washington, DC. The goal of the Summit was to foster a conversation regarding policies that will benefits the working families of today. In order for America to remain competitive in today’s global economy, we need to transition workplace environments into the 21st century through work-life balance and good employer practices. AWIS couldn't agree more with this goal and frankly it’s time for elected officials and employers to recognize the needs of the families of today. It's always interesting to me how thoroughly entrenched the STEM shortage myth is in elite circles. The near-term picture for chemists isn’t a whole lot rosier. 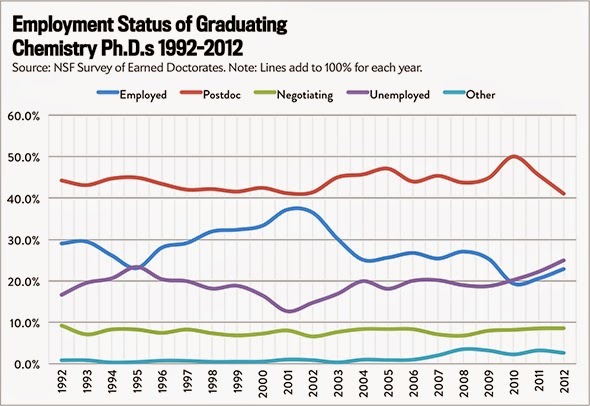 Again, postdocs are hovering above 40 percent. Employment, after popping in the ’90s, fell to a plateau around 25 percent in the ’00s. One of the problems with the entire concept of STEM is that the acronym combines several distinct disciplines with different job markets, and encourages politicians and journalists to talk about them as if they were one and the same. I couldn't agree more. The term "STEM" makes us stupid and mashes together categories that don't belong together. ...In contrast to whisky, gin is ready to drink right after it has been distilled and diluted since all the flavour components (known as botanicals) are added prior to the distillation. It is also, in my opinion, best drunk with ice and not at room temperature (I never put tonic in it–it hides the wonderful flavours!). I have recently been educated in this respect since two process chemist friends of mine used their redundancy money from GlaxoSmithKline, when the site at Tonbridge, UK, closed a couple of years ago, to set up a gin distillery in Kent, and their first product, known as Anno Gin (www.annodistillers.co.uk), has been receiving rave reviews. A recent column in the Times sang its praises—one of the distinctive botanicals used is samphire, a form of seaweed or sea vegetable that is sometimes eaten as an accompaniment to fish. Sadly, the new gin is not yet available in North America, but hopefully that situation will change soon. It has been interesting to see what a couple of process chemists have achieved in a new area of chemistry manufacturing. This demonstrates to me that process chemists have multiple talents and can turn their hand to a variety of occupations. Whilst still on the alcohol theme, there have been chemists who have set up breweries and others who have gone into wine production. The scientific training and the knowledge picked up by process chemists of the importance of quality raw materials, reproducibility, process control, cleanliness, etc. must stand them in good stead when manufacturing high-quality products. Process chemistry is so multidisciplinary, part of the attraction for many scientists and engineers, but also it is a good education for careers in other areas. It's wonderful to read stories of chemists landing on two feet. Several years ago, things didn't go well for Peter Brooks when his former employer bused his division to a suburban Washington, D.C., field. They were divided into teams for a round of paintball. "We were issued safety goggles and paintball guns, one of which immediately misfired. It hit a district manager in the crotch," Brooks says. He remembers that the game quickly devolved into screaming, pleading and retaliatory rage — the paintballs left large welts. "A lot of people pointed their guns right at their supervisors, me included," Brooks says. "I shot mine right in the middle of the back, and then when he spun around with revenge in his eyes, I surrendered." The bus ride home, he says, was dead silent. "I think we were all really unprepared at the impact, literally — emotionally and physically — the impact of shooting paintballs at each other," Brooks says. "People were very mad at each other. There were apologies. There were heartfelt apologies." I've never played paintball, but I can imagine what giving pretend guns to irritable people would be like. Hmmmm: I think we're in the summer doldrums, though I can't be sure. Not too many positions over the past week or so. Lead ground-breaking research on products that benefit both People and the Environment, while working beside the creator of the most advanced vegetable waxes in the world! We’re looking for a Products Chemist to conduct catalytic reactions with vegetable based lipids for the development of waxes. You will be expected to learn and perform routine analyses such as GCMS, melt point, needle penetration and flexibility determinations as well as make test candles and cosmetic products. The position will also require some work with customers and vendors. Sounds... interesting. B.S. chemist with 3+ years experience desired. The scope of your work will be both routine and original. You must have a superb understanding of chemical, biochemical and microbiologic reactions that affect beer quality, fermentation, flavor, and beer stability; this and more will make our hearts flutter! You must be a collaborative team player with your fellow co-workers to effectively exchange information upward, downward and laterally. You’ll be handling other great projects to initiate and improve procedures for our quality practices while doing lots of other fun stuff too! You’ll get all this done while working in a safe and efficient manner. Do you have what it takes to land this cool new lab gig? If so, we are on the edge of our seats waiting to hear from you! Santa Rosa, CA: Thermochem wishes to hire a B.S./M.S./Ph.D. LC-MS chemist. 5+ years experience desired. Brevard, NC: PharmAgra is looking for synthetic chemists of all stripes again; wonder what causes these semi-periodic ads from them? ACS San Fran Career Fair Watch: 7 positions for the ACS SF Career Fair, 4 for the Virtual Career Fair. Are non-compete agreements becoming more common? ...Last month, James Mitchell gave his two weeks notice. The 32-year-old told the Boston Web marketing company he worked for he was leaving to join a startup. And he was sure that he was not violating the noncompete clause in his contract. ...Colette Buser, 19, has worked for the last three summers at LINX, a camp for kids in the Boston suburbs. Buser said the part-time job paid minimum wage, and this summer, she wanted to work for another camp. But LINX evoked her one-year noncompete agreement. The head of the company told The Boston Herald the techniques and training are proprietary. That's a really crummy thing for a summer camp to do... "You will never teach the other kids our secret camp song with its proprietary clapping rhythm!" We've talked about this issue before and no one has ever raised the issue -- are there non-compete agreements in academia*? If so, how long are they? Also, have they ever been enforced, or tested in the courts? (How would you even define a competitor -- in the case of a university, wouldn't it be any other university?) Readers, what do you think? *A brief Google search seems to indicate that there are often non-compete agreements between university hospital systems and their clinical faculty. This article by a Virginia lawyer seems to say that one Virginia university (Old Dominion) doesn't have them with their faculty. I've been following the story of the MV Cape Ray and its Field Deployable Hydrolysis System. Above, a video of one of the operators explaining the FDHS in detail. It makes me cringe a little bit to hear him refer to the reactor as a "titanium mixer", but he's on the ship, not me. Pretty cool. *Interesting to note that one of the pieces of equipment in that lab appears to be of 1970s vintage. Good to know DoD is sparing no expense. ..."STEM makes no sense as a category. What you have is science and engineering, and then you have this IT labor force," says Hal Salzman, a professor of planning and public policy at Rutgers University. "It's a non-differentiated category that makes no analytic sense." "Biologists and computers scientists are pretty far from one another, and it's not clear that grouping them together as STEM jobs is useful in itself," says Matt Sigelman, CEO of Burning Glass, a job market analytics firm that helped produce a recent Brookings report on STEM job vacancies. But the classification does have another use, he says: "STEM is a useful categorization when you start thinking about it as a range of skills to have in the job market." "If you're an anthropology major and you want to get a marketing job, well, guess what? The toughest marketing jobs to fill require SQL skills," Sigelman says. "If you can ... along the peripheries of your academic program accrue some strong quantitative skills, you'll still have the advantage [in the job market]." Likewise, some legal occupations (such as intellectual property law) and maintenance and repair jobs stay open for long periods of time, according to the Brookings report, if they require particular STEM skills. 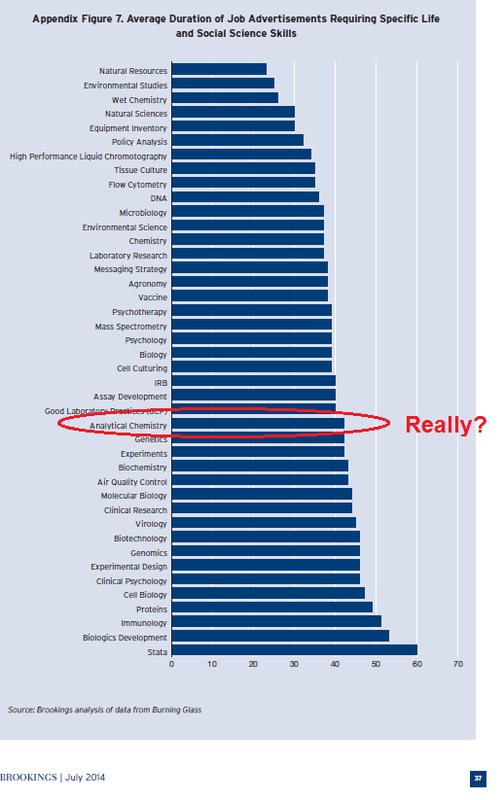 It is also interesting to see it claimed that biological types have a more difficult time being sourced than overall chemically-related positions; I have a sense that there are many more biologically-trained people than chemists. Another confusing aspect of this figure. I'm stumped, to be honest. *Should also be noted that Brookings/Rothwell has a very expansive view of STEM positions, including medically-related positions and also a lot of skilled trades. Do industrial chemical reactions languish in obscurity? With reference to the mention of my original work on proline catalysis in the ACS national award vignette for Benjamin List, it is stated that “the reactions’ mechanics were ill defined, and they therefore had been widely viewed as exotic exceptions to the prevailing dogma that only enzymes and metal complexes can act as highly enantioselective, synthetically useful catalysts” (C&EN, March 17, page 49). In other words, it seems the Hajos discovery slowed scientific progress. The fact is that despite early patent filing, it took five years before our paper was published in a prominent ACS journal in 1974. Eleven years later, Claude Agami and associates in Paris were the first to name this proline-catalyzed Robinson annulation the Hajos-Parrish reaction (Chem. Commun. 1985, DOI: 10.1039/c39850000441). It is possible that a great number of researchers originally overlooked our discovery. This is most likely not because of ill-defined mechanisms but because it resulted from industrial rather than academic research. However, the real giants of synthetic organic chemistry did recognize its value and used it. One outstanding example is the posthumous paper of Robert Burns Woodward in the total synthesis of erythromycin (J. Am. Chem. Soc. 1981, DOI: 10.1021/ja00401a049). I wish to emphasize that at age 88 I am not seeking recognition, just unbiased reporting. Upon pondering this letter some (and reading the List summary by J.F. Tremblay that Dr. Hajos was responding to), I might suggest another reason that the Hajos paper didn't get enough attention. It seems to me that academic publishing of a new reaction discovery follows a pattern where there are multiple small publications (Org. Letts, what have you) and then a big JACS communication ultimately followed by traveling seminars and review papers and the like. It seems to me that's not the path that successful industrial reactions (and their discoverers) take, where patenting and commercialization are the end-goals. There's probably a lot of backstory that I'm not understanding here. Andy Brunning writes the very fun "Compound Interest" infographics blog. He talks with Lauren Wolf in this week's C&EN. Good stuff! ACS currently provides members with element anniversary mugs for years 1 to 6. Any member who is current on dues is eligible to receive one for their appropriate years of membership approximately four months prior to their annual anniversary date of joining ACS. ACS does acknowledge that sometimes the mug packages do not reach their final destinations due to address or delivery issues, and are occasionally subject to breakage. If a member hasn’t received one, or received one that was broken, the member should message ACS Member Services at service@acs.org. Considering that I miiiiight not have been current in years 1-6 of membership, that may have played a role. Ah, well, live and learn. But I was really hoping for that ever exclusive bromine mug. While this route effectively provided initial quantities of 3, the use of NaSMe, even as the more convenient aqueous solution, was not desirable due to its potent stench, which proved difficult to eliminate even with the most rigorous containment procedures. A “stench-free” protocol was subsequently explored in which NaSMe was replaced with thiourea and iodomethane. Thus, heating chloride 6 with thiourea in EtOH at 65 °C resulted in an SNAr reaction to give the thiouronium salt 8 in 95% yield (Scheme 3). Conveniently, the thiouronium salt was isolated simply by direct filtration of the cooled reaction mixture. Treatment of a water solution of 8 with aqueous NaOH and MeI resulted in hydrolysis of the thiouronium salt to the 2-mercaptopyridine sodium salt and urea, with subsequent S-methylation to give the sulfide 7. Again, 7 was not isolated but was directly oxidized by AcOOH to give sulfone 3 in 70% yield after crystallization. This process avoided the stench associated with the NaSMe process, as thiourea and the thiouronium salt 8 were odorless solids. It doesn't surprise me that they designed a route to avoid the use of NaSMe, but I am surprised to learn that they couldn't keep the smell contained, even with "the most rigorous containment procedures." Neat that they were able to use thiourea in its place, though. I'll bet the plant/kilo lab operators (and their friends and their families) were pleased with this new route. 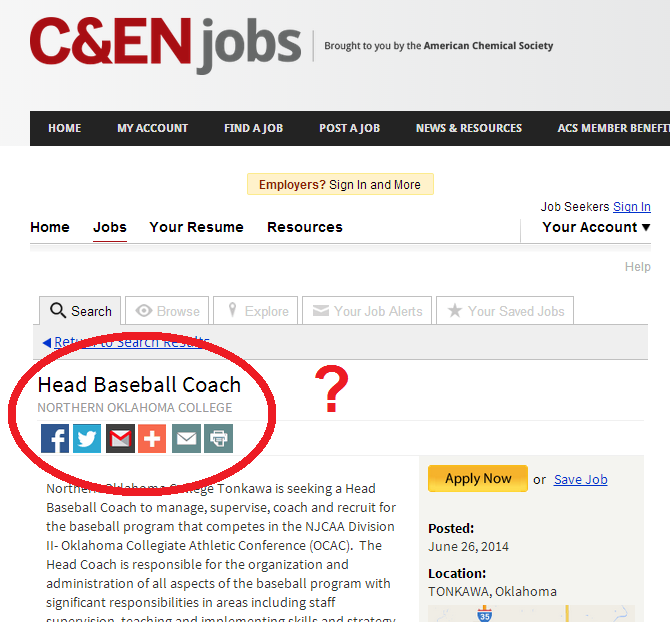 To C&EN Jobs' credit, it doesn't appear on the main list, so looks like someone may have removed it unless you have the link or go searching for it. How are other institutions reacting to the Harran settlement agreement? As you might expect, the official statement from UCLA plays up the improvements in lab safety put into place in the wake of the accident and points to the creation of the UC Center for Laboratory Safety, which has been holding workshops and surveying lab workers on safety practices and attitudes. I’m afraid, however, judging from the immediate reaction I’ve seen at my own institution, that we have a long way to go. In particular, a number of science faculty (who are not chemists) seem to have been getting clear messages in the wake of “that UCLA prosecution” — they didn’t really know the details of the case, nor the names of the people involved — that our university would not be backing them up legally in the event of any safety mishap in the lab or the field. Basically, the rumblings from the higher administrative strata were: No matter how well you’ve prepared yourself, your students, your employees, no matter how many safety measures you’ve put into place, no matter what limitations you’re working with as far as equipment or facilities, if something goes wrong, it’s your [posterior]* on the line. One of the very interesting aspects of the case is how vigorously UCLA and its entire administrative apparatus has defended Professor Harran. Nary a contrary leak nor a whispered rumor have made it into the press. But it isn't a surprise that other institutions are less excited about spending what must have been millions of dollars defending principal investigators from labor law violations.